A brand’s website is very much the face of an organization, but often companies don’t know what users are saying behind the virtual backs. In comparison to some of the other website design feedback channels out there, Feedback Army is a simple review service with only basic functionality. 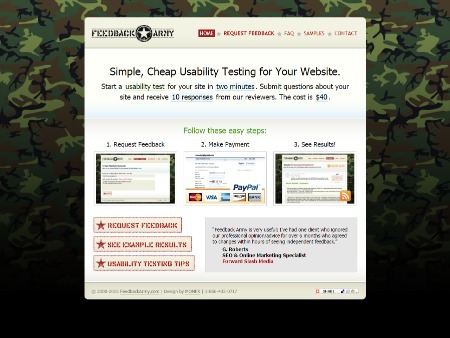 To use the services of Feedback Army, brands simply submit a copy of their website with a list of questions they would like answered from testers. Brands are also able to provide a quick summary of their website for testers with their questions but are not required to. Unlike many of the other services available where users will see video of tester’s responses to a website, Feedback Army simply supplies the answers to brands' questions in written text. Morae offers brands a comprehensive testing platform in which they can test everything from paper mockups to actual handheld devices. 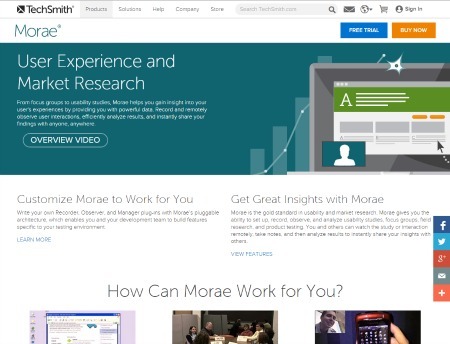 Also, to give brands a better idea of how a wide variety of people view their website, Morae offers a focus groups tool, which enables the moderator of the group to record what those in it discuss and allow others within the company to see. When building a website there are various obstacles that designers must overcome that shape how the site will not only look but also how it will function. 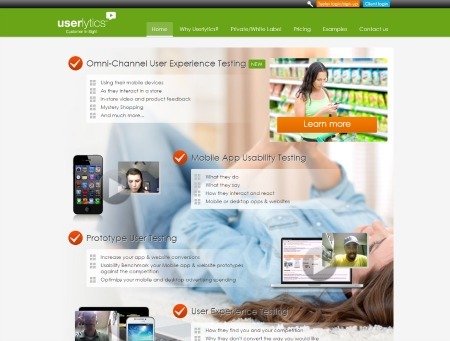 Userlytics enables designers to test their prototypes for a variety of usability factors and see testers' thoughts first-hand through a combination of screen recording and webcam video. Another important aspect of Userlytics is its ability to enable brands to test the usability of their mobile apps, an important aspect in today’s mobile centric world. With the ability to conduct a variety of different test, UserZoom offers brands a comprehensive review of their websites. 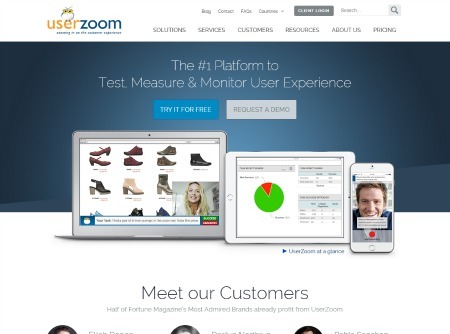 From remote Web usability testing to user experience benchmarking and concept testing, UserZoom can be leveraged for a variety of different tests in order to ensure all parts of a website are connecting with consumers. Also, to ensure that brands are testing with their target audience, UserZoom offers flexible recruiting options. 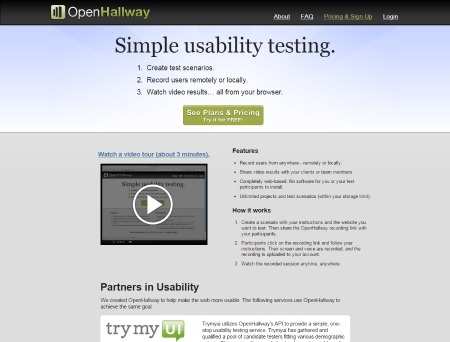 Another simple usability testing service, OpenHallway enables brands to test specific scenarios regarding their website and have video of the tester’s journey through each scenario. To use the service, brands simply create a scenario with instructions to follow. Brands will then see how testers journeyed through the scenario with a video of the tester’s screen as well as audio so they can hear what they say as they conduct the test.